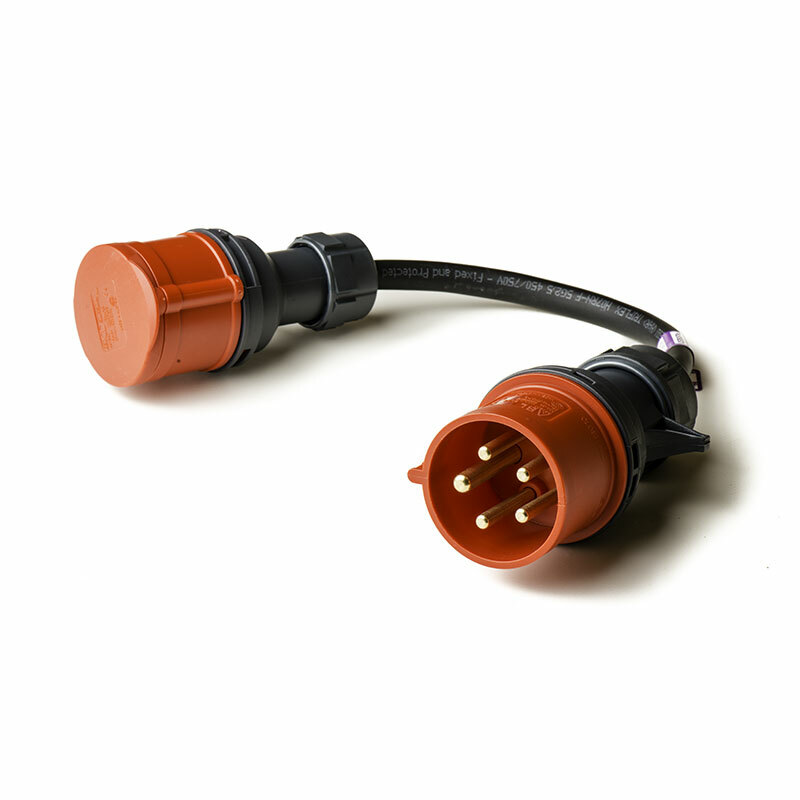 32A to Standard 16A 3-phase adaptor. Allows you to charge your Tesla at the UMC’s maximum capacity – 16A 3-phase 11kW. This will provide approximately 20 miles or 30 km per hour of charge. 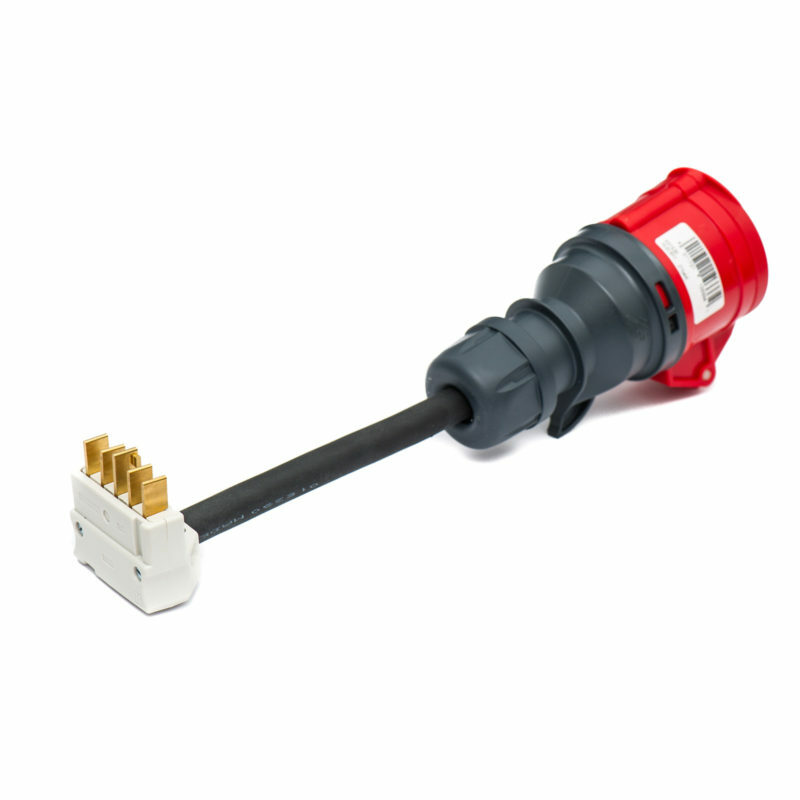 Also available as part of our Compact range of adaptors. 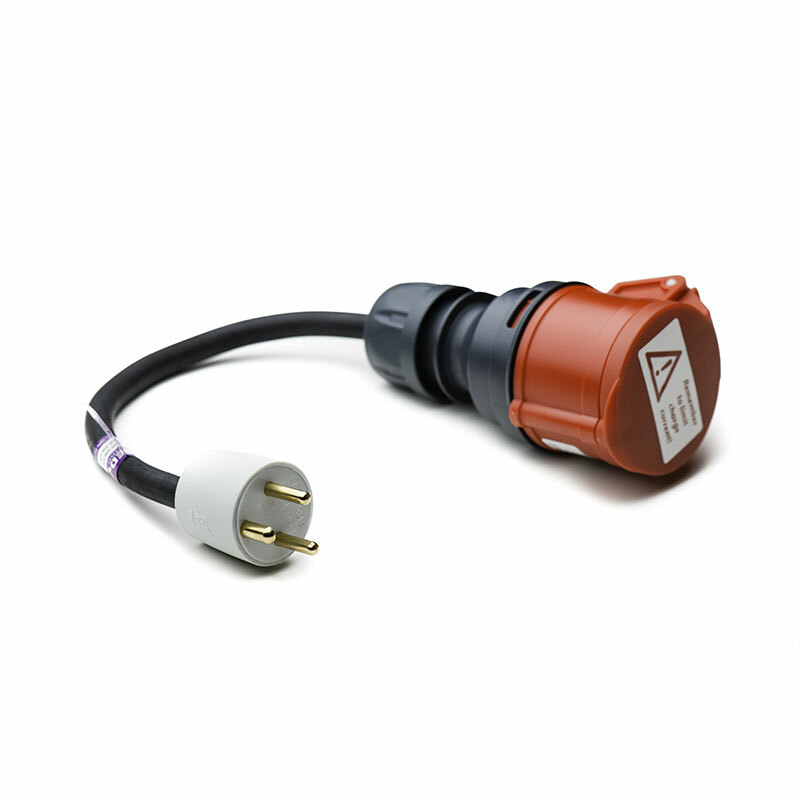 Note: This adaptor must only be used in conjunction with the Tesla UMC for charging your Tesla vehicle. 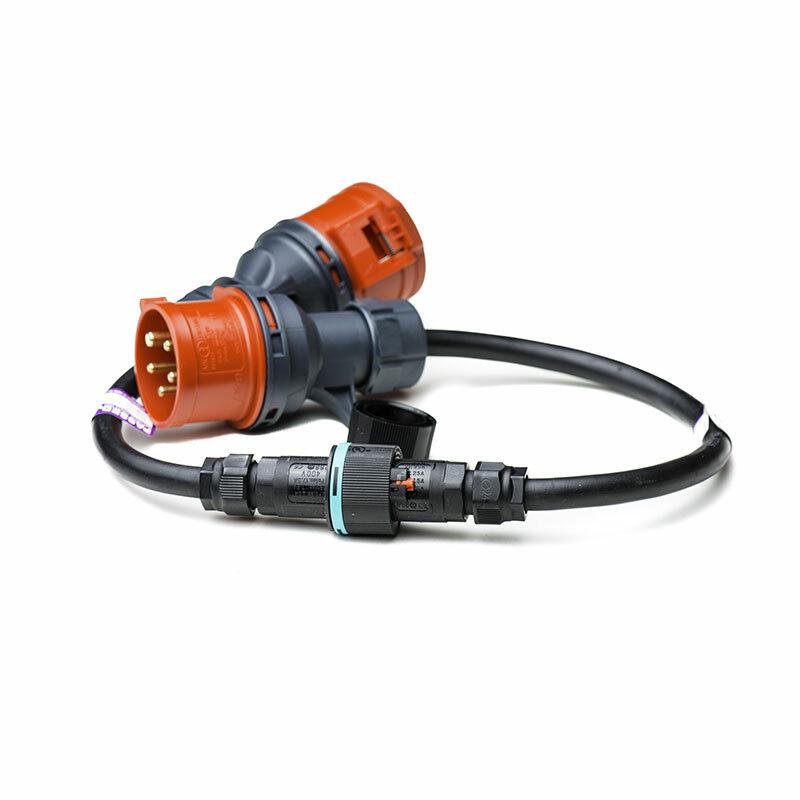 Under no circumstances whatsoever can it be used to convert a 32A 3-phase socket to a 16A 3-phase socket for use with other equipment as it does not have the required safety circuit breaker.